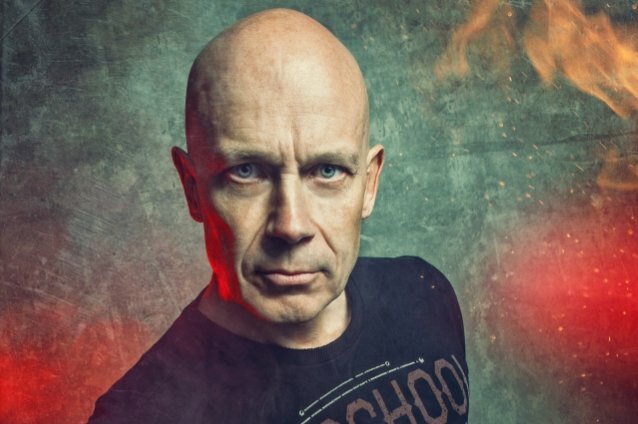 ACCEPT guitarist Wolf Hoffmann has told RockSverige that he has no intention of ever retiring from music. "I decided that I'm gonna keep on going and going till I drop dead on stage," he said. "Honestly, I'm not even kidding. That's my personal goal, because I don't think retirement is really an attractive option. That is maybe partly because I've already been retired and away from the music business for 10 years when I became a photographer and I did something completely outside of the music business. I mean, those were good years in a way, but now that I'm back into it, I feel it's much more fulfilling and I have something… a goal where I get up every day in the morning and I have something I'm really looking forward to and it's something that keeps me busy all day long." He continued: "Retirement is just a terrible thought to me because I wouldn't know what to do, to be honest. Maybe if I found something to do, because I'm never really bored… I'm a guy who's always doing stuff and a I have a lot of different interests, but it wouldn't have the same meaning and appeal as working with music and working with this whole machinery that's called ACCEPT. I don't want to retire if I'm not forced to it. You never know what's in the future." Asked what has been the high point of his career so far, Wolf said: "You can always talk about the golden '80s and there was certainly something very special about it. Mainly because there was all of this sort of pioneer spirit; everything was new and exciting and everything happened kind of for the first time. We went to America for, like, eight months and stayed on the road and discovered the world, so to say. We were still kids — in our early 20s — so the year 1984 was very, very special. But since we were so young and everything happened for the very first time, you couldn't really put it its proper place. You almost took it for granted in a weird way, because it just sort of happened and we weren't as reflective on things. Now that we're a little bit older and we've been around the world dozens of times, when things happen now, you can put it in a much more clearer perspective." He continued: "The last ten years of our career is something that I'm very grateful for and I think in a weird way, it's been more consistent than anything we've ever done in the past. We've made four solid albums and there's really no end in sight. I think this period now is very consistent and on a sort of upward trend and it just goes on and on. It's very good." As for a low point, Wolf said: "Yeah, no doubt that whole period with [singer] David Reece in the '90s when we had that album 'Eat The Heat' out, that was definitely a dip in the curve, I'd say. Another dip was in the late '90s when the band dissolved, but that was a time when heavy metal wasn't cool and nobody wanted to hear it and everybody was just into grunge and alternative this and that. That was definitely a low point for metal in general everywhere in the world. It was also the time when I decided that it was maybe time to call it quits and do something completely different in my life. I didn't really want to go down with the ship any further and didn't really want to make music, because I had to play music to make a living or anything. It sounded like a dreadful idea to me, so I said, 'Maybe it's time to walk away from everything.' An 'it was fun while it lasted' sort of thing." Hoffmann recently confirmed to The Foundry that ACCEPT has commenced the songwriting process for the follow-up to "The Rise Of Chaos" album. "The Rise Of Chaos" was released in August 2017 via Nuclear Blast. 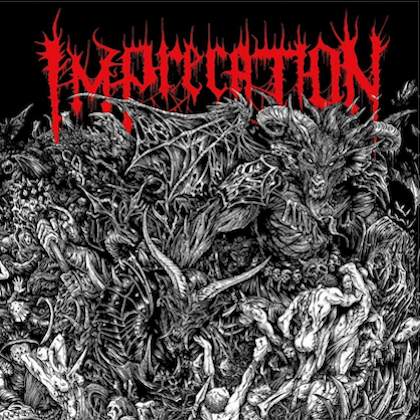 The cover artwork for the disc was created by the Hungarian artist Gyula Havancsák. The follow-up to 2014's "Blind Rage" was the first ACCEPT album to feature the band's latest additions, guitarist Uwe Lulis (GRAVE DIGGER, REBELLION) and drummer Christopher Williams. ACCEPT parted ways with guitarist Herman Frank and drummer Stefan Schwarzmann in December 2014. The band will release a live set, "Symphonic Terror - Live At Wacken 2017", on November 23 via Nuclear Blast.